As the use of cloud computing grows, systems administrators need better and more automated tools to spin up virtual servers to meet demand. That’s why Opscode just boosted the scalability of Private Chef so that a sysadmin can manage three times as many workloads without adding hardware. Opscode also added support for Microsoft’s(s msft) Active Directory and Solaris(s orcl). This is just the latest shot in a running configuration management battle where Opscode and rival Puppet Labs (see disclosure) are the primary combatants. These companies have become the go-to providers for sysadmins needing to automate the provisioning and change management for massive scale-out cloud computing environments. These tools are very popular in the growing DevOps movement in which software developers and operations people work together to make sure software projects meet business goals. In the past, these two groups often worked at cross purposes. Demand for such automation tools is driven both by the exploding use of cloud computing and heavy use of virutalization inside company data centers, and by the relative scarcity of systems admin talent to handle these loads. 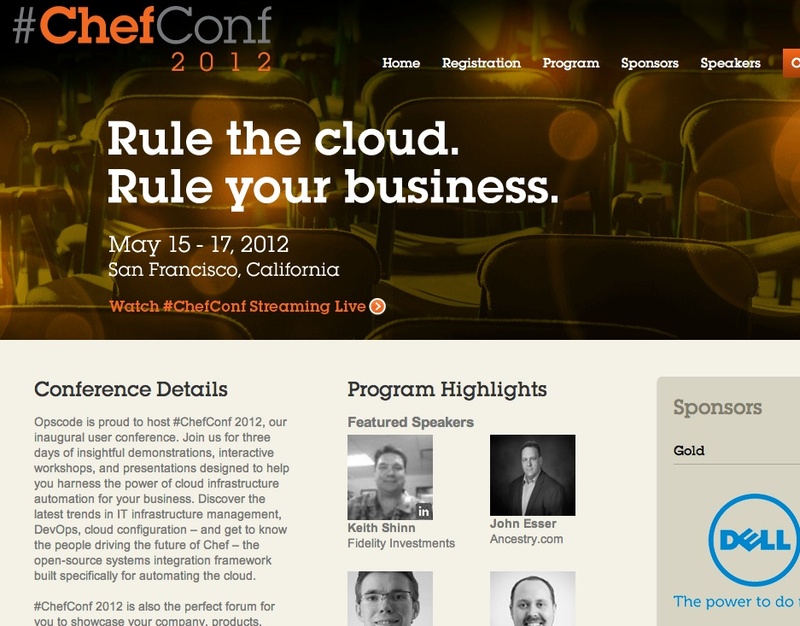 Opscode will talk up Chef’s new capabilities at its first Chef Conference in San Francisco this week. Both Opscode and Puppet Labs are adding enterprise perks like scale and better cross-platform support to their offerings. In March, for example, Puppet’s new Puppet Enterprise 2.5 release added Windows support, putting that popular Microsoft OS on par with Linux and Unix. Puppet subsquently announced support for OpenStack-based clouds and Opscode added support for HP’s OpenStack-based cloud. Jay Wampold, VP of marketing for Seattle-based Opscode, said these configuration management tools help systems admins more easily configure and track changes to bigger and bigger computing environments. The addition of Active Directory and Solaris support to Chef shows that more admins are running mixed Windows-Linux-Unix environments and their configuration tools need to address that trend. Opscode offers Hosted Chef as a service, Private Chef for on-premises use, and Open Source Chef. The company said the open source version has been downloaded 1 million times. Opscode customers include Fidelity Investments and Ancestry.com, both of which will present at the conference.